O.T.S. 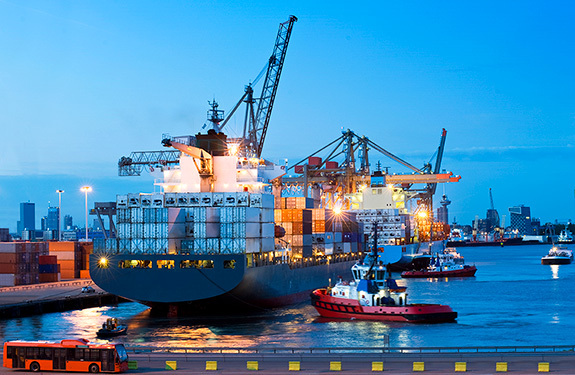 Astracon's Sea Freight services ensure your shipment moves quickly, safely and efficiently. We offer services with the highest quality carriers and steamship lines to give you the best transportation services the market has to offer. Our ocean services include consolidations, direct expedited shipments, door-to-door services, drop shipments to any destination, special handling of your cargo or your documentation. We're a licensed freight forwarder with our own NVOCC - Nicholas Navigation With with a direct linked to Customs' AES (automated export system), as required for all exports. O.T.S. Astracon is licensed with the FMC with our OTI 14867NF. O.T.S. Astracon's experienced Sea Freight personnel can guide you through the ever-growing and changing logistics market. We take time and care in constructing the personal supply chain you need for all your import traffic needs.